In its first response to the military confrontation between Iran and Israel, Tehran on Friday slammed the missile attacks from Tel Aviv, calling them a blatant violation of Syrian sovereignty. 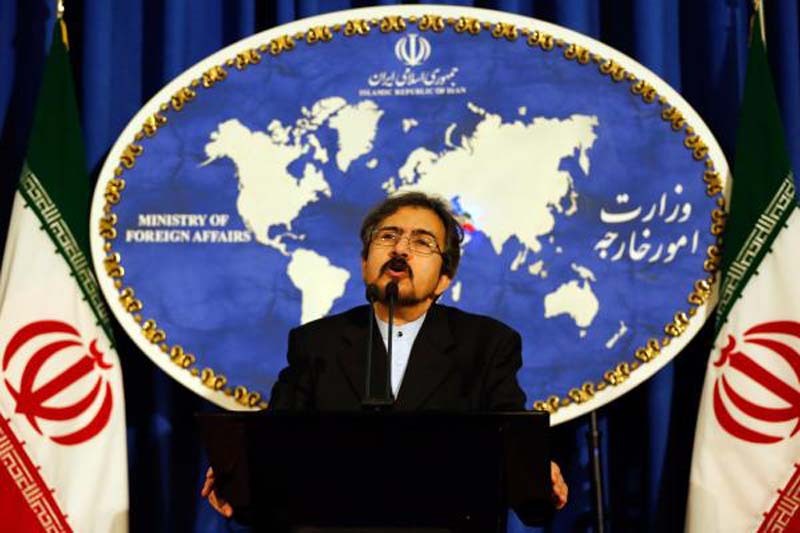 Iranian Foreign Ministry Spokesman Bahram Qassemi said Tehran would back Syria's "right to defend itself" after missiles hit Iranian-affiliated military targets in the country Thursday. Qassemi blamed the United States, Israel and regional allies for supporting terror groups in the region to wage war on their behalf. "The main supporters of these groups are directly attacking and invading Syrian territories in an attempt to avenge the many failures of their self-created terrorists and tip the scales in their favor," Qassemi said. Tensions have escalated between Iran and Israel in recent months. Israeli officials have become increasingly concerned over Iran's strong military presence in the war-torn country, with Israeli Prime Minister Benjamin Netanyahu saying Tehran had moved advanced weapons into Syria that could threaten Israeli fighter jets. Israel said its military struck almost all of Iran's military structure in Syria Thursday, including a logistics headquarters in Kiswah belonging to the Quds Force, an Iranian military logistics compound and the group's munition storage warehouses at Damascus International Airport. Netanyahu said the attacks came after Iran "crossed a red line." "Whoever hurts us, we will hurt them seven-fold, and whoever is preparing to hurt us, we will act to hit them first," he said. Syria's air defenses and the Russian Defense Ministry said they downed more than half of the Israeli missiles launched Thursday. Israel said they too intercepted a "number of rockets" using their Iron Dome aerial defense system. The attacks came after Israel Defense Forces say Iranian Quds fired 20 rockets from Syria at military posts in Golan Heights. Thursday's missile firefight was the largest-ever direct clash between Iranian and Israeli forces, and appeared to be the largest exchange involving Israel in Syria since the 1973 Yom Kippur War.